I was born July 27, 1981, the year that my home team, Clemson University, won its one and only national title in collegiate football. I was born into a largely religious family. Almost everyone in my immediate family attended to some kind of religious ceremony or activity. I was one of them. Humanly speaking I had much to my credit that served to deceive me, – “baptized” as in infant, raised in a church, attending regularly on both Sunday and Wednesday, confirmed at the age of 13, and stamped as an exceedingly moral adolescent. This continued until I was nearly eighteen years old. The first time that I stepped outside of my home church it was to attend a Southern Baptist service…in pursuit of a functional god. After a girl, I got the Gospel instead (though it was no mere consolation). And it came to me as Paul said it did to the Thessalonians, namely, the gospel came to me not only in word but also in power and in the Holy Spirit and with full conviction. The Word of God was proclaimed, the Gospel thundered, the Truth laid me in the dust. First came the realization of my personal sin, then its consequences, – physical and spiritual death, and the eternality of that consequence in the torments of hell and separation from God. But, oh, how sweetly did the comfort of Christ come. When the issue of repentance and faith in Christ came to me I could not (I would not) resist it, – I had to have it lest I were to go insane in my sin against this Holy God and miss out on eternal splendor. That early morning around 2 a.m. the cross grew sweeter and sweeter to me until finally I (with much exasperation) confessed to God my rebellious character and sin against Him, and pled with Him to give me Christ, – oh, I did not know what to do but ask of Jesus to save me from me, – and He did, and immediately I was changed. What was sweet became bitter and what was tasteless became sweeter than the drippings of the sweetest honeycomb; what imperfections seemed nominal to me became ferociously sinful and all of my confidence in all of my “churchy” human accolades amounted to nothing that I might gain Jesus Christ and be found in Him. And looking back now, I praise God, – “Salvation belongs to the Lord.” By His grace alone through faith alone in Christ alone, God clothed me with Jesus’ own righteousness, and on that basis alone I am saved and am being saved daily. That was the Summer of ’99. I entered Clemson University in the Fall of 2000. While at Clemson, I majored in Services Marketing. But by the grace of God I was surrounded with godly roomates who put up with me and attempted to hold me accountable for my shortcomings. I was heavily involved with the Fellowship of Christian Athletes on campus, ordering and leading Bible Studies. During my last semester at Clemson, God called me to vocational ministry. This was confirmed by His Word, prayer, His people, my colleagues, my family, and my mentors. This call was as intense as His effectual call of salvation. Moreover, He mercifully introduced me to my wife. Although I knew her as a friend, her “no junk” attitude caught my attention. That was the Spring of 2004. Between March 1, 2004 and July 1, 2006 I pursued this vibrant female. She became my covenant bride that summer’s day. We just celebrated our fifth wedding anniversary. She is to me that graceful doe, that loving wife, that beautiful girl that captivates me. Every day I adore her more. Every day I see her pursuit of Christ intensify. Every day she is more lovely. This is my spunky wife, Jenny. She is the love of my life. I took the interim youth pastorate at East Clemson Baptist Church in September of 2007. This stewardship was truly a blessing to me, for God blessed me with some young people who remained steadfast in the ministry of His Word and they blossomed before my eyes. This shall forever be a testimony to me in these days of youth distractions of His grace, – the supremacy of Christ, the glory of God, and a ministry centralized on the exposition of His Word still proves powerful unto salvation. 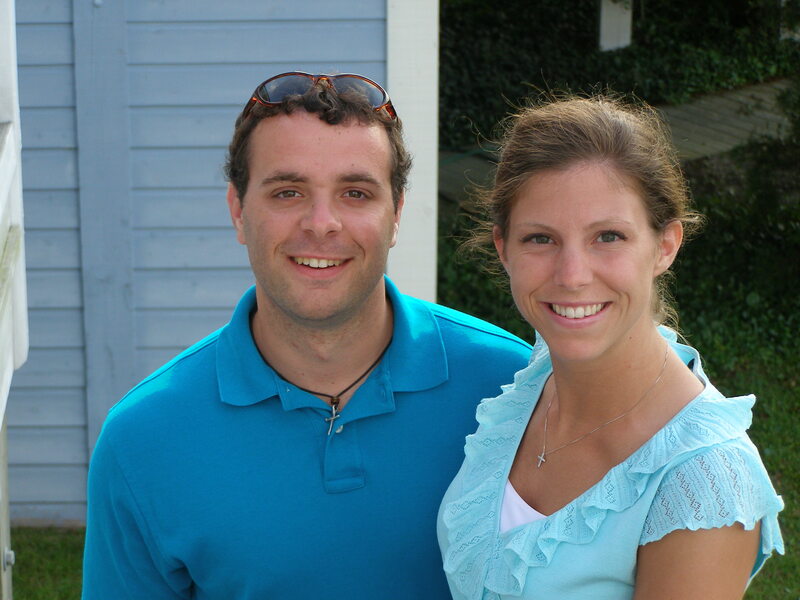 Jenny and I, along with our firstborn son, Luke (born May 6, 2011) now live in Louisville, Kentucky. I recently graduated from The Southern Baptist Theological Seminary, May 19, 2011. We now are making plans to move with at least two other families to Boston, MA where we will endeavor by God’s grace to plant/start a church. I would ask that you pray for us during this time of intense preparation, that God might be pleased to prepare me/us to find His grace sufficient for me/us, to increasingly trust Christ who is the Power of all Effectual Ministry, and that we might continually mature in having a God-centered view of all things. To God be the glory in the name of my Lord and Savior Jesus Christ. Amen. Hallelujah! I woke this morning to a tune I sang often in my church’s choir ..”my God is mighty to save, He is mighty to save…” And indeed He is! What an AMAZING testimony of God’s pursuit for you! May God bless you in your ministry endeavors! Praying the blood of Christ to cover you & your family as you eagerly and effectively serve Him! Hey brother. I didn’t get a chance to ask you about how God saved you, but I’m glad I found it here. Its so encouraging to hear/read about the wonderful power of our Lord to save. Send me an e-mail some time so I can keep in touch with you that way too.